The Lord Lieutenant of East Sussex, Mr Peter Field, recently attended a centenary party for the Sussex Deaf Association. 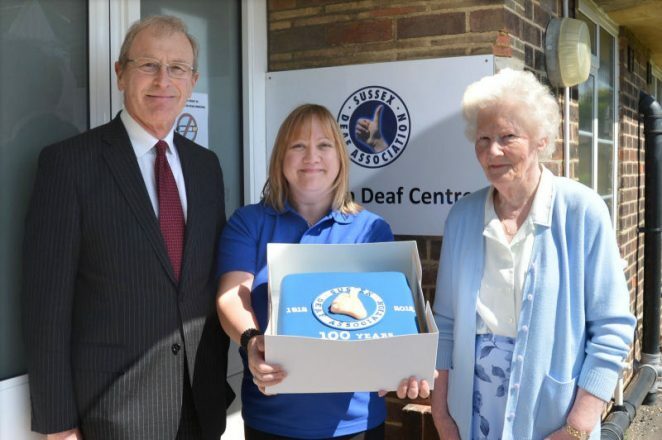 Since being established in 1912 The Sussex Deaf Association has helped thousands of deaf people in need of support and guidance, with everyday needs hearing people take for granted. They are an independent charitable voluntary organisation providing support, social and welfare service for deaf, deafblind, deafened and hard of hearing people across Sussex. The association is a service user led charity. If you are interested in finding out more about the Sussex Deaf Association and the services it provides, or would like to volunteer with them, you can visit the website here.